The OBD Adapter Harnesses (FJR's 2016 and later only) I posted about some time ago, are now becoming available. 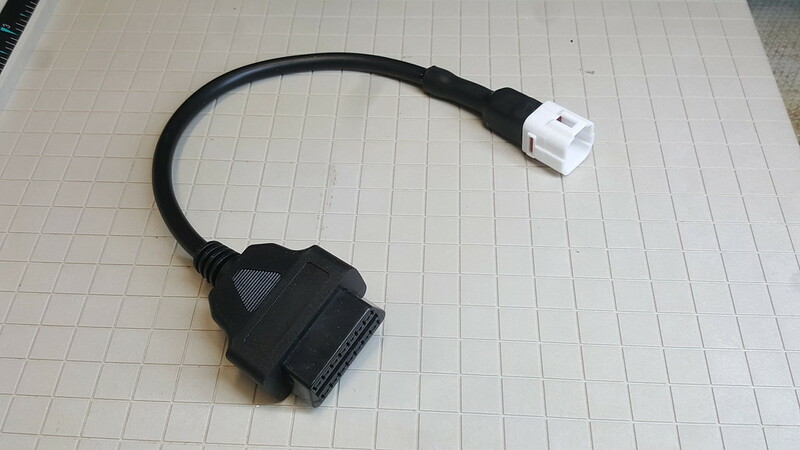 Product Description : The adapter harness is a common OBD2 harness with a 16-way female connector to accept a standard OBD2 Code Reader (see post 2 for details). Assembled to it is the Yamaha 4-way connector into which one plugs the bike's OBD port connector, possibly used on other 2016+ Yamaha motorcycles? Heavy duty double-wall-with-glue Marine grade shrink tubing protects the small gauge wiring. You might say 'extrememarine' grade. Instructions for setup and use will be available for download when you order. FJR’s prior to 2016 had access to diagnostics (DiAG) via the instrument cluster, but 2016 and up now use On Board Diagnostics (OBD). This normally requires the dealer’s computer, but diagnostic codes can be read using an OBD2 Code Reader. 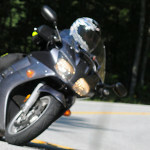 The dealer’s computer will have additional capabilities, e.g., Service Bulletin software/firmware upgrades released by Yamaha, etc. 1. 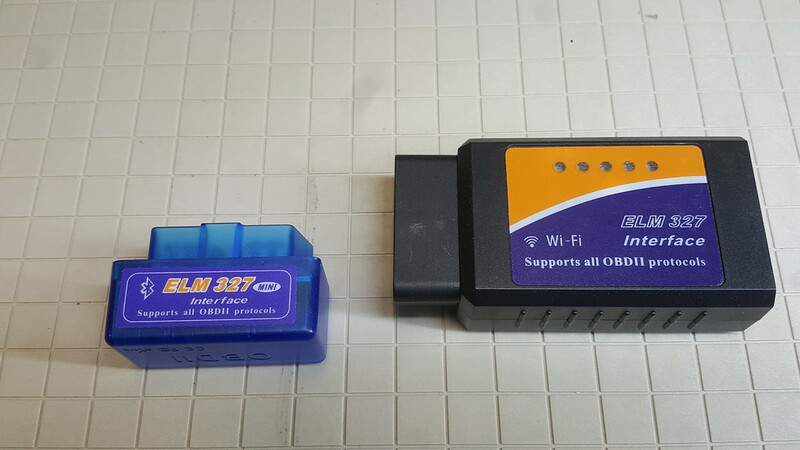 An OBD2 Code Reader of the desired type, either WiFi or Bluetooth for Android, or one compatible with iOS (WiFi), and an App for your tablet/smartphone. These are inexpensive and can be ordered on eBay, again see post 2. It is less expensive for you to order it and have it likely shipped free to your door, but be aware of the delivery times from offshore, i.e., if you intend to order the harness, order your reader in advance. 2. An Application (app) to display to display the diagnostic information sent by the OBD2 Code Reader. There are several apps available, but a simple functional app, Torque Pro (~$5 paid version), is adequate for most diagnostics. Torque Lite (free) is not adequate. This can be downloaded and installed to your phone or tablet, ensure compatibility with Android or iOS. If there are those more experienced with OBD2 readers who might be able to recommend other apps, comments are welcome. The OBD Test Harness is now available for purchase in the FJRiders.com store here. Don't forget to add the instructions PDF to your cart as well - free PDF download. US orders can be placed at the above link. Price is U$20 plus $5 shipping by USPS, payment by Paypal. Shipping will be combined if also ordering the ABS test harness. Last edited by raYzerman on Mon Feb 11, 2019 9:48 am, edited 3 times in total. iOS - for tablets and phones. Must be WiFi, and it is recommended you choose one where the seller says iOS compatible. Other than iOS, either Bluetooth or Wifi are equally as good once connected. Once initially connected and configured, they both re-connect subsequent times just fine. I like the WiFi units, but only because I'm not a Bluetooth fan, no other valid reason than that. Most commonly use ELM327 firmware, except handheld units with integrated displays (more expensive). Choose mini, medium or larger, they all work the same, packaged in a different case. Some include a mini-CD software disc, which you may need for the USB version. Tablets and phones use a downloadable app. Many sellers offshore, and several here onshore who resell, lots of choices on eBay, just search for OBD Code Reader and you'll get 10 pages. I have provided a couple of current links here to those who have multiple configurations. The mini's are nice and small, harder to find a WiFi one. Note, you can use these on any vehicle with a 16 port connector, using the same Torque Pro app I've mentioned. OBD has been around for a while. Real time OBD data displayed on a tablet is quite good. I’m buying one of every cable ray sells or specs. As soon as I can get my hands on them. Same notice about off topic discussion here - keep it on track and related to the the OBD adaptor harness - how it works, how to use it, how to purchase it, etc. Everything else will be deleted at our discretion. And Thank You Ray, for putting these together for the community. I might suggest an alternative to the Phone apps for a OBDII reader, I have an UltraGuage in my truck, I've had it for years and used in all my vehicles. Its also available in wireless versions now. I have mine mounted on my heating duct in the truck which means it gets alternately frozen and baked in the winter time. No problems whatsoever. Post 1 updated - OBD adapter harness is available for purchase in the FJRiders.com store. First wave of orders are packed and ready for the Post Office tomorrow! Update - 3/11/19 - All pending orders have been filled and shipped today! Inventory will be updated as well, but we have both the ABS test harness and OBD adapter cables in stock.